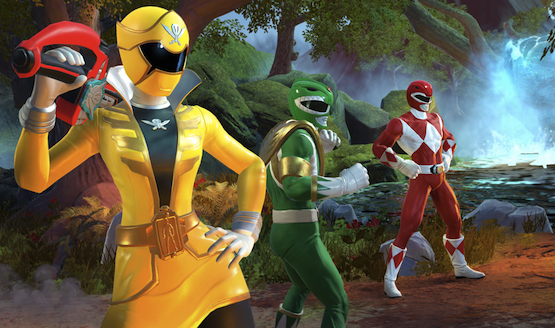 Power Rangers: Battle for the Grid free DLC is coming with the game’s first update, nWay has announced. Is it morphin’ time? This set of three characters includes Dragon Armor Trini, Udonna, and Cenozoic Blue Ranger. Udonna is from Power Rangers: Mystic Force, who is the wise anchor for the team and takes the role of the white ranger in the show. The Cenozoic Blue Ranger is from the 2017 Power Rangers movie from Lionsgate, which starred RJ Cyler in the role. These characters are not part of the season pass and they are not giving away the Season One characters. Those will be announced and released on a later date. A common complaint about the game is that there’s a lack of content with barebones single player modes, no private lobbies, and a measly roster of nine characters. This update alone will raise that by a third! The official Twitter account for the game said, “We hear you and are hard at work at packing more into this game.” There is more information to come for the first update too. Power Rangers: Battle for the Grid is a fighting game inspired by 3v3 fighters like Marvel vs Capcom or perhaps Dragon Ball FighterZ. At any point in battle, you can switch the characters at will for strategy or for optimal combos. It looks like a rather solid fighting game, and despite (or perhaps because of) it’s lack of content, it’s a budget price of $19.99. nWay will also provide competitors special tournaments and missions throughout the year to keep the service fresh. Unfortunately, the game isn’t cross-play compatible on PS4 yet, but if you play it on an Xbox One, PC, or Switch, you will have more of a base to play with. There isn’t a set release for the game’s first update yet, but while you wait for this Power Rangers: Battle for the Grid free DLC, go, go check out Aidan Simonds’ feature on why we need better Power Rangers games in the future. Are you excited for this DLC or do you think it needs a Lightspeed Rescue? Is it time, time, time, to pick up this game? Let us know in the comments below!